The Deutsche-Wirtschafts-Nachrichten (DWN) has been under attack by politicians in Europe for reporting the truth. 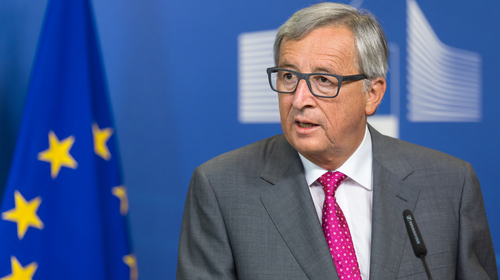 DWN editor Michael Maier has sent a sharp protest to the President of the European Commission, Jean-Claude Juncker. The EU had accused DWN of spreading Russian propaganda with a fake report. Anyone who disagrees to the politics of the EU is attacked. This assault upon real news is becoming really very bad. The USA is just off the charts in how the media is twisting everything possible and appears to be egging on World War III. Any compromise Trump would reach with Putin is being characterized as pay-back for undermining Hillary. ABC, CNN, CBS, NBC want war perhaps for their ratings. The EU Commission has actually circulated a paper containing a pathetic counterfeit about a DWN article and other manipulations. Bloomberg and The Nation are also accused of operating propaganda for Russia. The goal is obviously the intimidation of critical media. The mainstream media in the USA is demonizing Russia pretending Hillary would have won but for Putin and the Juncker and crew are doing the same pretending the EU would survive but for Putin. The mainstream media in the United States is on board 100% trying to undermine Trump. In Europe, the corrupt media is trying to support the EU and pretend Merkel is still popular. One must recognize that when you corrupt the news, the collapse of society is not far behind.